Before I picked up Neverwhere, I’d never read any Neil Gaiman. I know. I couldn’t believe it either. 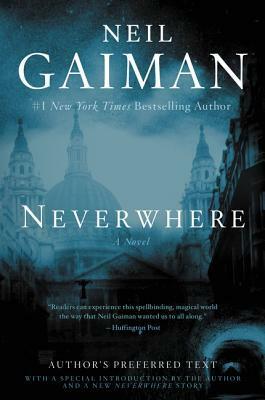 I went for Neverwhere because American Gods seemed like too much of a commitment (but I’ll get to it), and it intrigued me as an archetypal urban fantasy novel, a genre I’m trying to get more into. Everyone seems to love Neverwhere. It seems to occupy a space of underground reverence (no, that’s not a pun). All of my friends on Goodreads have given it five stars, and nobody will dare utter a bad word about it. So I will. I’m sorry to say I thought Neverwhere was just okay. Neverwhere is the story of a mythical “London Below” and an everyday Londoner (Londonite?) who falls into this world he didn’t know existed. On a date with his painfully cosmopolitan fiance, Richard sees a young woman fall from a doorway into the street. She is filthy, and she appears hurt. The story makes a point of Richard stopping to help her when maybe nobody else would. The young woman’s name is Door, and she is special. She can open doors… or something. It’s never really made clear, but using conventional doorways, she has the ability to create portals through space. And her name is Door because why not? Her father’s name is Portico, and are you serious, Neil Gaiman? If it seems I’m a little apathetic toward these tropes, it’s because I am. I generally don’t like to read works that are essential blueprints for genres because, invariably, they read tired and inferior. That was my experience with Neverwhere, and I’m happy to grant it that. But my problems with Neverwhere don’t end there. 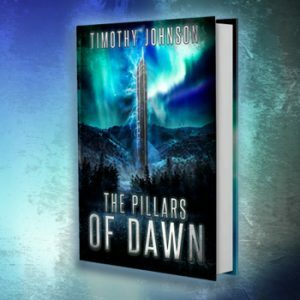 Certainly, the urban fantasy structure is there and solid, but that doesn’t mean it doesn’t contain bad ideas and bad writing. On the former point, Gaiman invents creatures and places that are utter nonsense on the macro level. I’m generally resistant to ideas that just seem like words slung onto a page without much thought, and several of Neverwhere’s key plot points struck me so. At some point, imagination must be grounded in some kind of recognizable reality, but Neverwhere has a dreamlike quality to it in the sense that it seems conjured by Gaiman’s subconscious rather than his conscious. To a point, I might argue that’s a strength, but in certain instances, I had to turn my brain off because what he was doing literally meant nothing. 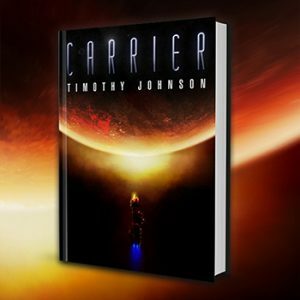 Moreover, for an imaginative work, I just didn’t feel like the world and environments were fully realized, and many of these problems had to do with bad writing. On the latter point, Gaiman commits a ton of literary faux pas at the micro level. A good editor could have a field day with Neverwhere, not because anything he’s written is incorrect but because it’s ineffective and poorly constructed. Most readers aren’t going to care, so I’m not going to detail his problems here, but I recognized sentence after sentence of opportunities where he could have strengthened his prose but never actually did. The end result read to me like a watered-down Pimm’s (it’s funny because it’s a liquer originating in London; and you’re welcome for not making you Google it or sending you to another page via hyperlink). While I admit most readers won’t care about this, they unknowingly would because, if Neverwhere were written effectively, it would be a more engaging, powerful, and pleasant experience. Admittedly, I’m being overly critical and pedantic of Neverwhere. I had high expectations, and in context, without the explosion of urban fantasy during the previous couple of decades, Neverwhere would be visionary. In fact, it was. It’s a solid story, and it stands the test of time. Even today, it’s alluring and entertaining, but its greatest achievement was refining a formula that other writers who lacked the vision to do it first could build on. More than anything, that’s why people still love it and why it maintains notoriety. Or maybe people love it because British people love British things and it also was a TV series, so nostalgia. I’m just a little disappointed that, out of context, it wasn’t special to me. Tagged Books, Fiction, Neil Gaiman, Reading, Reviews, Urban Fantasy.